To put things in perspective; On one side of the fence are Performers and on the other are radio Stations, Also known as Terrestrial Radio. As it stands now, when say a Taylor Swift song is played on your favorite radio station, Taylor Swift doesn’t get paid a dime for the broadcast of her music. However, whoever wrote the lyrics and composed the actual music to that song will – via a Performing Rights Organization such as ASCAP, or BMI. Is that Fair? Your first thought is probably NO, but Terrestrial Radio execs are looking at it another way. When an artist such as Taylor Swift is getting ready to release a new Album with the hopes of selling millions of copies, well, they have to start promoting it and get people hyped up about its release. One way of doing that is by putting their album on a pizza box… [laughs]. However, the most popular way of getting people hyped about their new album is by releasing singles and sending them to Terrestrial Radio stations around the country to play for the listeners in their Geographical location. Depending on the market, those listeners can number in the millions. Wow, right? Well radio execs know that without “them” a huge portion of Taylor Swift fans probably wouldn’t even hear that new song of her’s. So they’re making the case that performers (via their Record labels) should be paying THEM for that promotion. Artists come back and say that without THEM, Terrestrial radio wouldn’t have content for their listeners thus not have listeners, THUS not have advertisers who make up the majority if not all of a radio station’s revenue stream. So let me ask again, is it fair that performers do not get paid a dime when their music is played on terrestrial radio? Just in case there’s any confusion, let me make it clear that a recording artist can be both a singer and a songwriter and in that case, will in fact get paid for the public broadcast of his or her song if it’s played on the radio. Now the icing on the cake! Everyone who listens to music has probably listened to Pandora or Spotify at least once in their life right? Well internet radio broadcasters and even satellite broadcasters such as Sirius XM are the other major players in this debate. Unlike terrestrial radio, internet and satellite broadcasters are required to pay a statutory license fee to the performing artist via a non-profit organization called SoundExchange. In addition, web-casters are required to pay a fee to the party who owns the master recording as well (usually the record label). They ALSO have to pay a very small fee to the session musicians. Despite the payouts literally being pennies, internet broadcasters are pissed that they have to pay 3 different parties, compared to the 1 that Terrestrial Radio has to pay. This was the call for the Internet Radio Fairness Act of 2012. The Internet Radio Fairness Act of 2012 was introduced to the House by Republican Representative Jason Chaffetz and to the Senate by Democratic Senator Ron Wyden and is strongly supported by… you guessed it! Pandora; they even made a video showing their support and trying to persuade you to support it too. The bill itself proposes that artists get paid less than what they already do now, for each stream of their song. Pandora and other streaming services will lead you to believe that they have the best interest of the artists in mind, but that is just one side of the story. From a business perspective you have to look at the numbers to understand why streaming services are lobbying for this type of legislation. 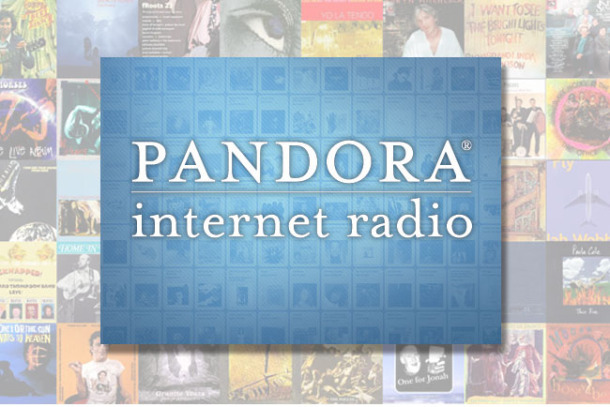 Advertising and paid subscribers make up the majority of Pandora‘s revenue stream, however the 2.5 million paid subscribers and countless paid advertisers aren’t enough to help Pandora cover the cost of increasing royalty payments, let alone make a profit. So from that aspect the push for new legislation regarding royalty payouts is understandable, but at who’s expense? The artist of course. Fortunately this bill died in both chambers of Congress – however, it’s highly unlikely that this issue will ever disappear. If copyright law isn’t reformed there’s a huge chance that music consumers will have to fit the bill, because if internet radio broadcasters want to pay less, and artists want to get paid more (definitely not less), the only party left standing without a prominent voice in this dispute, is YOU. Needless to say, the consumer and internet radio take up the same position. Neither wants to pay more than they have to, right? So how is this suppose to work? In order for everyone, and I mean EVERYONE, to benefit there has to be a middle man, because thousands of musicians and millions of users using the same platform means that there will be some new discovery going on.